What did you see that caused the accident? The NASCAR Camping World Truck Series (NCWTS) had three practice sessions on Friday afternoon in preparation for Saturday’s Great Clips 200. 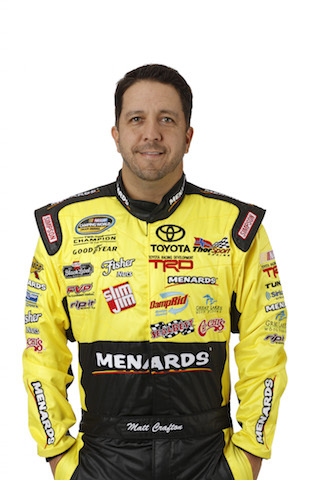 Matt Crafton, driver of the No 88 Menards Toyota Tundra, was third, fifth and second overall, respectively. With a speed of 179.790 seconds, Crafton claimed his first NCWTS Keystone Light Pole award at Atlanta (Ga.) Motor Speedway (AMS) on Saturday morning – the 12th of his career. Crafton led the field three times for a race-high 76 laps in the 130-lap event at AMS, but finished 30th due to a late-race accident on lap 113 of 130. Crafton would assume the lead for the second time at lap 26 before bringing his No. 88 machine to pit road under the races first caution at lap 39 for four tires and fuel. Crafton would remain the leader for the lap 42 restart. The Menards driver would lead the ensuing 19 laps before crew chief Carl “Junior” Joiner would bring the 88 machine to pit road under the races second caution at lap 61 for four tires and fuel. Crafton would once again lead the field to green at lap 68. The ThorSport Racing driver would lead the next 23 laps, giving up the lead at lap 91 to the 4 truck complaining of a “tight” Toyota Tundra. Needing help through the center of the corner, “Junior” brought the Menards machine to pit road for the final time under the lap 107 caution for four tires, fuel and a chassis adjustment. Solid work by the pit crew would allow the two-time champion to resume the lead for the third and final time during the Great Clips 200 for the lap 111 restart. Just two laps later, on lap 113, Crafton would be swept up in a multi-truck accident on the backstretch that would bring out the red flag for over six minutes. Hard contact with the outside wall would eliminate the No. 88 machine from finishing the 130-lap event, and Crafton would be credited with a 30th place finish, 10 laps down to race winner John Hunter Nemechek. In 363 career starts, Crafton has 12 poles, 11 wins, 89 top-five and 211 top-10 finishes.